It’s always impressive when your waiter or waitress presents you with a plate of food that looks too pretty to eat. Many chefs say “we eat first with our eyes (saying attributed to an ancient Roman gourmet).” Have you ever noticed that the more enticing dishes tend to be visually appealing due to the variety of foods and colors displayed? It’s hard to get that same mouth-watering effect when you have just one thing on the plate. Likewise, the greater variety of food groups you consume, the better the chance you are getting sufficient quantities of vitamins and minerals from your meals. According to the USDA Center for Nutrition Policy & Promotion(CNPP), an organization established in 1994 with the objective of educating and encouraging dietary guidance for all Americans, we should be following the MyPlate.gov model in order to make better food choices and eat healthfully. The MyPlate model replaced the MyPyramid and the Food Guide Pyramid in 2011, and many people find it much easier to follow. Instead of a pyramid shape, the MyPlate image is designed to look like a place setting, with each of the five food groups displayed in the proper proportions on the plate. It is easy to understand and remember the right ratios of foods we should be eating when contemplating this visual tool. The reason it is so important to eat from a variety of different foods is that each kind of food has different types and amounts of key vitamins and minerals. If you eat too much of one and not enough of another, you may find that you are lacking in some key nutrients, and over time, this may have a negative consequence for your health. In addition, choosing a variety of foods keeps your meals interesting so you won’t become bored with your diet plan. According to the MyPlate Plan, half of our plate should consist of vegetables and fruits, while the other half should be protein and grains. The portion given to veggies is a little bigger than that allotted to fruit, and the portion given to grains is slightly more than that for protein. On the top right of the image is a little circle as though for a drink. This is the dairy group and indicates the proportion of dairy we should have relative to all the other food groups. It is a slightly smaller area than that given to fruits. The balanced diet presented in the MyPlate Plan is an ideal framework for healthy eating that is easy to remember and follow when creating meals at home or choosing what you want in a cafeteria or restaurant. Take a look at the MyPlate Plan visual tool. 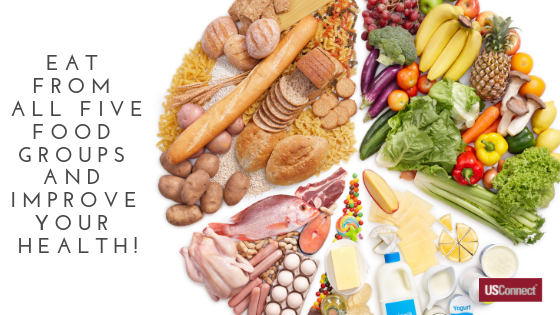 The MyPlate image is not the only helpful tool provided by the CNPP to show you how much of each food group to eat; you can even get a personalized plan specific to your gender, height, weight, and activity level to help you ensure you are eating the right foods in the right quantities. Just go to: https://www.choosemyplate.gov/MyPlatePlan. Getting the Most BURN for Your Buck! Whether you are doing squats, sprints, spinning, or swimming, you want to know that the exercise you choose is going to have a nice big return on investment when it comes to burning calories. You work hard and expect to see results, but which physical activity is going to help you reap the biggest rewards? After all, not all workouts are created equal. If you don’t have a lot of time to exercise, the good news is that you can still maximize your energy expenditure with a short duration but high intensity workout. The activities which burn the greatest amount of calories are those which use more muscle mass and also involve resistance. An excellent cardio workout for calorie burning is sprinting. Jim White, American College of Sports Medicine spokesperson, says, “Sprinting burns a massive amount of calories, but it can only be kept up for a certain amount of time.” He suggests alternating between two minutes running at the fastest pace you can sustain, and then jogging for a minute to recover before resuming the faster pace again. Running at a pace of 7.5 miles per hour, a 155-pound person can burn 465 calories in a thirty-minute span of time. That is excellent efficiency! Tabata workouts are another incredibly efficient way to burn calories. Typical Tabata workouts will rotate between four different exercises, such as crunches, jumping rope, squat jumps, and lunges in 20-second increments followed with 10 seconds of rest. This is repeated in cycles for about half an hour. The American Council on Exercise found that in an average 20- to 30-minute Tabata workout, one can burn about 15 calories per minute, or 450 calories per half hour. Since swimming requires using so many different muscle groups from the kicking of your legs, the stroking of your arms, and the tightening of core muscles as well, it is no wonder that this type of exercise ranks as one of the best calorie-burning cardio workouts. The type of swim stroke you choose will play a role in how many calories you burn. For example, a 155-pound person doing the butterfly stroke can burn 409 calories per half hour in comparison to 372 calories in the same time frame for the breast stroke. If you swim in the ocean, the current of the waves also gives an added challenge, upping the intensity of your workout and maximizing the calories burned. These three types of workouts will help you burn calories fast. But, check out the exercises below to decide which type you prefer. If you feel like you are working more hours than ever before, you are in good company. The American workforce has seen many changes over the past century, and a drastic change just in the past 40 years. In 1960, according to the Center for American Progress, “only 20 percent of mothers worked. Today, 70 percent of American children live in households where all adults are employed.” As the only industrialized nation in the world without a mandatory option for new parents to enjoy paid parental leave benefits, many feel the work-life balance in our country has been thrown askew. It is difficult to take time off for vacations or even if you aren’t feeling 100% well when faced with the prospect that your boss might think you’re not committed enough to your organization or may overlook you when it’s time for the next big promotion in favor of someone who wasn’t absent as much. While it’s obviously important to avoid unnecessary call-ins (sick), we all need some time to relax and get away from our jobs on a regular basis. The weekends just aren’t enough. In fact, many of us don’t have weekends at all. According to the Bureau of Labor Statistics, 33% of salary-employed people spent some time working on weekends—with an average of 5.53 hours worked on a weekend day. Those holding multiple jobs and self-employed people were more likely to work on weekends than those with only one job or those employed by others. According to the International Labor Organization, “Americans work 137 more hours per year than Japanese workers, 260 more hours per year than British workers, and 499 more hours per year than French workers.” When it comes to our global competitors, we are also working longer days, taking fewer vacations, and waiting longer to retire. 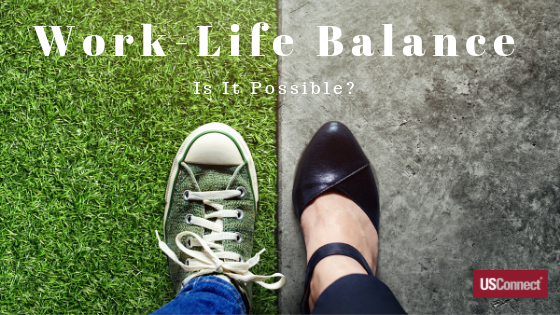 But, before you pack up and relocate to France, allow us to present some strategies to help improve your work-life balance. When you leave, really leave! Resist the urge to check work emails and texts after work hours unless there is absolutely some critical matter that you know you may need to attend to. (Hint: such a “critical” matter is not going to pop up often.) Try to get your work finished before heading out so that when you get home you can truly be present in the moment and not trying to finish up tidbits from your job that distract you from the people and things that you enjoy. Ask yourself what you would spend your time doing if you didn’t have to work. Unless that involves sipping Mai Tais on a Caribbean beach, or exploring some other distant locale, find time around your work day that you can start regularly participating in those activities on a consistent basis. Make a point of scheduling time for this pursuit on your day planner and strictly enforcing that you take that time for yourself to enjoy. A wise word from Heather Monahan, founder of #BossinHeels, a career mentoring group, “Realize that no one at your company is going to love you or appreciate you the way your loved ones do. Remember also that everyone from work is replaceable, and no matter how important you think your job is, the company will not miss a beat tomorrow if you are gone.” This is a great reminder that work should not take precedence over family. Don’t kid yourself into believing that you’ll always have time later to spend with them, because before you know it, the time is gone and the people you wish you had spent time with may have grown up or grown away from you. 4. During the work day, take a few minutes when you can close your eyes and think about something that brings you joy. Or, take those minutes to look at pictures of places and people (or pets) you love. Just taking a brief mental break from work, not talking to colleagues or reading work-related emails and memos, even for a short period of time, can refresh you and help bring balance to your work-life relationship. 5. Get outside. Nothing can soothe the soul like spending some time in nature. If you have any hiking trails nearby that will allow you to get into the woods, then seek them out. Walking in a wooded environment will provide you the sights, sounds, and scents of nature that are so lacking in our busy lives. There is a new theory that some people suffer from “nature-deficit disorder.” While this may not be a formal diagnosis, Richard Louv so aptly used it in his book (Last Child in the Woods) to describe a growing problem in our country in which humans who are deprived of nature seem to be suffering psychological, physical, and cognitive damage as a result. Allow yourself some time in a natural setting to breathe deeply and relax, totally separate yourself from your workplace, and let your mind wander to the beauty around you. If you make time to do this every week, chances are you will begin to notice a greater sense of balance in every aspect of your life. 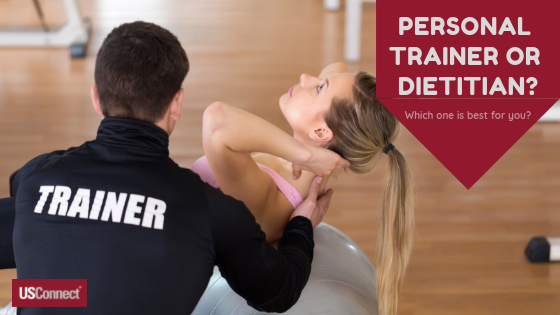 Which is Right For You – a Personal Trainer or Dietitian? If you are serious about losing weight and getting in shape, you may be wondering whether you should hire a personal trainer or a dietitian to help you achieve your goals. With the many different diets that have risen in popularity and then faded to obscurity and the ubiquitous gyms and exercise systems claiming to be the best, making the right choice for yourself takes a little time and research. One thing is certain: you need to ask yourself if your main goal is to lose weight or to get in shape? These two things are very different, though they are often believed to be the same. A person can be very thin but not very muscular, and likewise, someone may have been working on those muscles but still have a lot of pounds he or she needs to lose. How you answer that question will help you to determine if you may benefit more from the advice of a personal trainer or a dietitian. 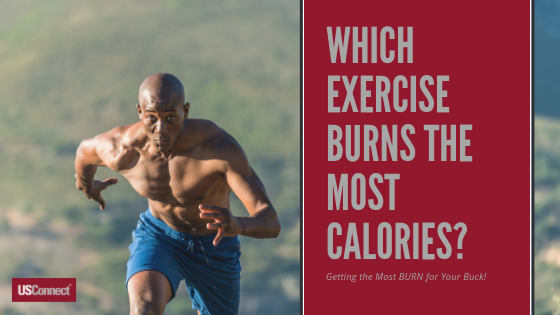 If you had a choice between jogging for thirty minutes to burn off the calories, or just eliminating two 16-ounce cans of soda, what would be the easier choice? For weight loss, seeing a dietitian for help in planning an appropriate diet that is safe and effective in helping you reach your goals is probably your best choice. On the other hand, if you are not so much interested in losing weight as in developing your muscle mass, which will also help in long-term weight loss goals (more muscle increases metabolism), the personal trainer might be the way to go. A personal trainer can create a personalized regimen for you that will help you increase your strength, introduce you to new types of exercises, prepare you for any physical challenges you want to undertake (like running a 5K or marathon), help you stay motivated, and help you develop fitness goals that can ultimately encourage weight loss. Whether your goal is to become more physically fit by increasing your muscle mass and overall strength, or to lose some weight, or both, the help of a personal trainer or dietitian will help you attain your goal faster with healthy practices and without injury.